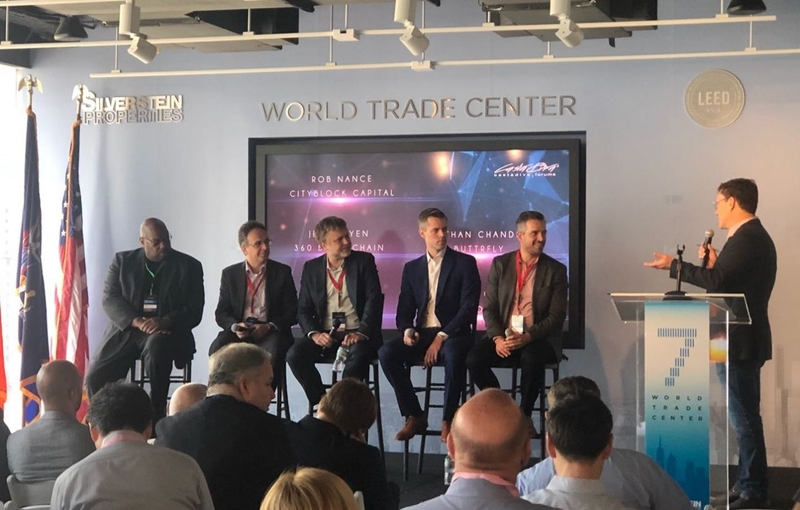 If you attended the World Trade Center Blockchain Summer Edition Forum in New York last month, you heard Ryan Scott, Founding Partner of ICO Impact Group and CEO of AKoin.io, lead an engaging discussion about innovations in the field of cryptocurrency, how blockchain is different, what to look for in blockchain investments, and what possibilities these technologies open up for entrepreneurs and investors. Scott will join an inspiring line-up of 100 global speakers from 30+ countries and over 1,000 attendees at the Ghana Tech Summit this July 18-20. Ghana Tech Summit is the largest technology gathering in West Africa and counts among its speakers and attendees Fortune 100 Brands, emerging entrepreneurs, and investors. It’s a subsidiary of the Global Startup Ecosystem, which brings together hundreds of entrepreneurs, investors, researchers, and creatives together to address humanity’s greatest challenges via technology in emerging markets. The Blockchain World Conference (BWC) team has put together a compelling lineup of Blockchain and crypto experts. Each one of the highly regarded speakers has been handpicked to deliver the most current and up to date info available anywhere in the Blockchain arena. BitBlockBoom is a must-attend event for anyone interested in their financial future. Learn from the brightest minds in economics, finance, and cryptocurrency, and discover new strategies for success. The GFMI conference will explore best practices for managing the innovation process through the use of well-connected scrum teams and agile environments. Delegates will learn how to evaluate and implement disruptive technologies with key insights into the uses of blockchain and artificial intelligence (AI) in the financial sector today. Most importantly institutions will learn how to stay ahead of the competition and increase profit through customer focused innovation. Distributed 2018 presents an opportunity to extend beyond industry and international borders, gathering a cross-section of global technologists and innovators to share ideas, create partnerships and, ultimately, drive change. You will hear from leaders in blockchain and cryptocurrency and explore related topics, such as The Global State of Blockchain, Crypto Market Technologies, and ICO and Token Issuance Models. Crypto Funding Summit (Security Tokens and ICOs) is the 3rd event in the Crypto Funding Summit series, an exclusive conference and networking event focused on connecting crypto investors and fintech experts with most promising blockchain entrepreneurs. The annual Blockchain Conference brings senior figures in finance, tech, government, venture capital and start-ups into a room and discuss Blockchain/DLT beyond Bitcoin. The energy and excitement around digital currencies is hard to avoid. Rumors of a massive technological leap forward have fueled an epic wave of tall promises and speculative investments. Despite the turbulence, a new wave of applications and protocols are emerging. DISCON 2018 goes beyond the hype to explore and expand on this emerging field. Blockchain technologies, including cryptocurrencies are emerging as an innovative approach to achieve societal functions (such as fiat money) that have so far required the backing of governments and institutions. Blockchain technologies crucially depend on distributed algorithms and cryptographic mechanisms to ensure their efficiency and security properties. This event brings together experts, leaders, and advocates from a broad set of relevant disciplines to discuss recent exciting progress and current open problems in this area. The Crypto Finance Conference (CFC) is the world’s leading investor conference on cryptocurrencies and blockchain investments with conferences in Asia, Switzerland and the United States. Fintech Worldwide brings the Fintech ecosystem together, including investors, large banks, consultancies, start-ups, academics, government and innovators. FinTech Week is happening right now in London, July 6-13. You can also check out FinTech Week New York July 31 - August 2 and FinTech Week Silicon Valley August 13-16 in South San Francisco and San Mateo, California. Ten events not enough? Check out ICO Impact Group’s Events Calendar, which is regularly updated with dozens of global blockchain and crypto events.